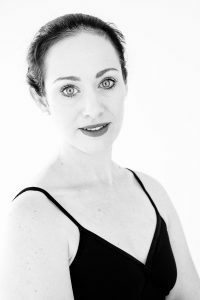 Amy Fortier is the director of Ballet Misha, and its affiliate school Dimensions in Dance. Amy trained privately with Michele ‘Misha’ Leslie (for whom the company is named), at Boston Ballet on the professional track, and later received a scholarship to attend Walnut Hill School for the Arts, a boarding school for young artists in Natick, MA. Amy graduated with high honors from Goucher College with a triple concentration in Dance, English Literature, and Art History, where she was given lead roles in pieces choreographed by dancers from the New York City Ballet, Ballet Austen, Nashville Ballet, and the Pennsylvania Ballet. In 2003, Fortier received her Master’s Degree in Literature and Art History from the University of London where she had received a fellowship to attend. 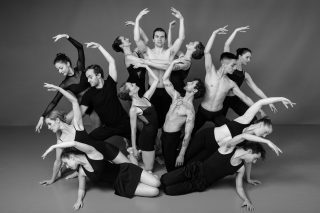 In London, she continued training with dancers from the English National Ballet. In 2008, Amy founded Ballet Misha,a non-profit dance company committed to bringing high caliber dance performances into the New Hampshire Community, and Ballet Misha premiered its first performance in 2009. As Director of Ballet Misha, Amy has choreographed and directed several full length ballets including The Nutcracker, A Midsummer Night’s Dream, and The Wild Swans, as well as numerous shorter works and contemporary pieces. Amy was a humanities lecturer at Southern New Hampshire University for 8 years where she taught courses in Art History, History of Architecture, English, and Public Speaking. Amy continues to pursue her love of Art History through artistic collaborations with Ballet Misha and other artists and art organizations. Amy’s piece De Sterrennaught that was performed at the New Hampshire Choreographer’s showcase in 2013 was inspired by Van Gogh’s 1889 masterpiece The Starry Night. In 2014, Amy choreographed a piece entitled Pygmalion’s Waltz that was inspired by the story of the sculptor Pygmalion who falls in love with a sculpture he has carved as described in Ovid’s Metamorphoses. In years of collaboration to bring special dance programing to the Currier, Amy has choreographed pieces inspired by Maxfield Parish, Henri Toulouse-Lautrec, Romare Bearden, Thomas Cole, Soo Sunny Park, Mark di Suvero, and others. In a recent ArtFront NH performance, Ballet Misha had the great privilege to work with New Hampshire Artists Vivian Beer and Christina Pitsch.